France was informed by a foreign intelligence agency of a planned attack on its Rio Olympics team, the head of French military intelligence said. General Christophe Gomart, head of the Directorate of Military Intelligence (DRM), in May told a parliamentary commission investigating Islamist militant terror attacks in France in 2015 that a "partner agency" had informed them of the plot. According to a transcript of the hearing just made public, a Brazilian national planned the attack. No other details of the alleged plot were available. Wilson Roberto Trezza, the head of Brazil's intelligence agency, told reporters on Wednesday that neither France nor any other country had contacted his agency about the alleged plot. Brazilian Minister of Justice Alexandre Moraes said in July that a jihadist terror attack during the August 5-21 Rio de Janeiro Olympics was a "possibility" but "not a probability." 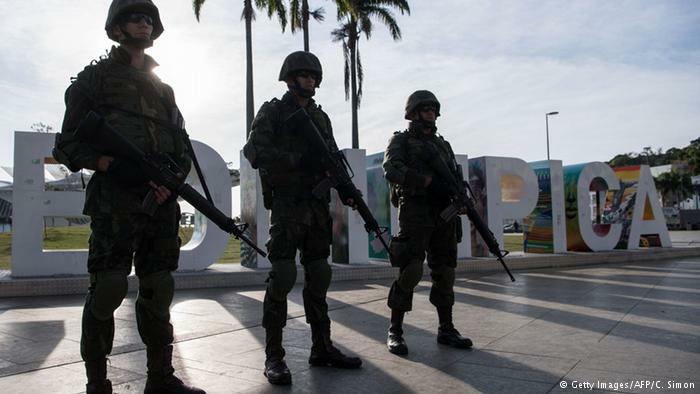 Brazil will deploy 85,000 members of the military and police at the games to protect athletes, officials and tourists.